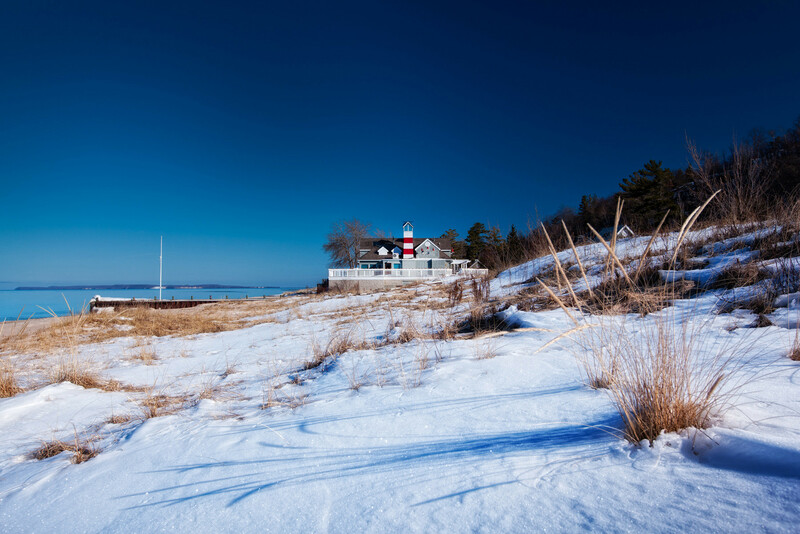 Celebrating its 25th season of skiing, The Homestead is located within one of America’s most beautiful areas: The Sleeping Bear Dunes National Lakeshore. It was built with an unmatched commitment to environmental excellence; offering skiers and riders stunning views of Lake Michigan. It is run with an unwavering dedication to exceptional service and for that reason lift ticket sales are limited, so the slopes aren’t crowded. The Homestead’s beauty and style draw couples looking for a romantic weekend while the uncommonly civilized, family-friendly ambiance draws families with young children. And the best lift ticket, rental, lesson and ski packages in Northern Michigan – guaranteed. Come, ski why. Childcare, children’s skiing and snowboarding programs; alpine, Nordic, snowboard, snowshoe and ice skate rentals; downhill, snowboard, telemark and cross country lessons; ski shop with tuning & waxing; Rocky’s for apparel, New Leaf Health and Fitness Center and Spa Amira and “Good Morning, How may I help you” countless times.